A set of 3 fantasy flower hair clips/ hair flowers with beautiful silver dragons attached to professional metal hair clips for very strong hold each (minimum hair length: 5 cm/ 2 inches). 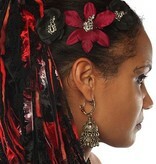 2 black flowers and 1 wine red orchid. 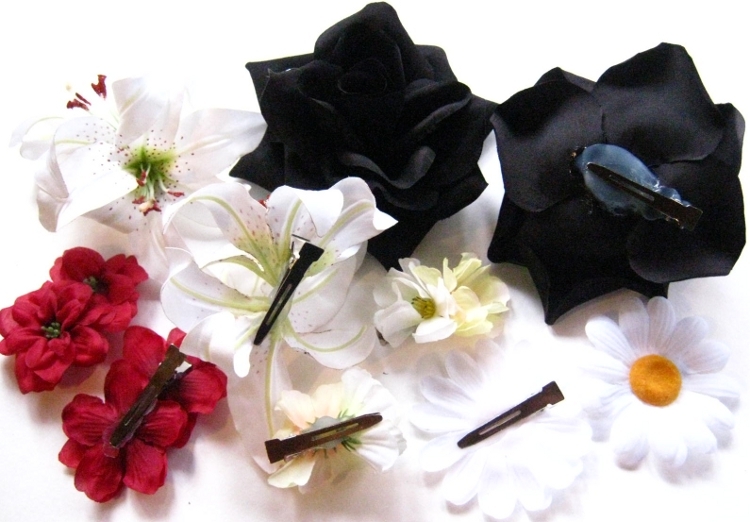 Size: about 5-8 cm/ 2-3.1 inches diameter each. 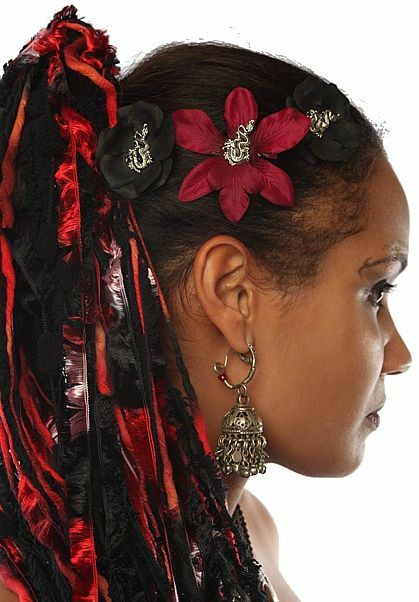 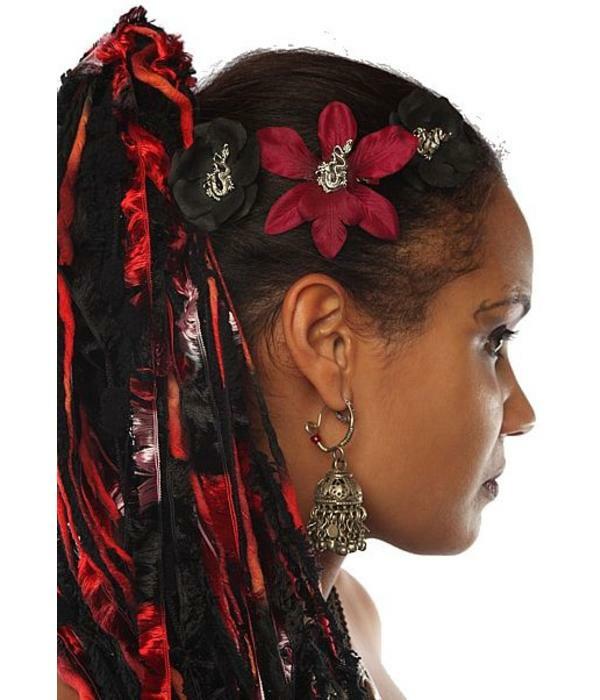 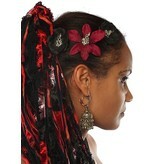 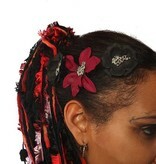 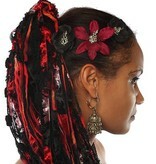 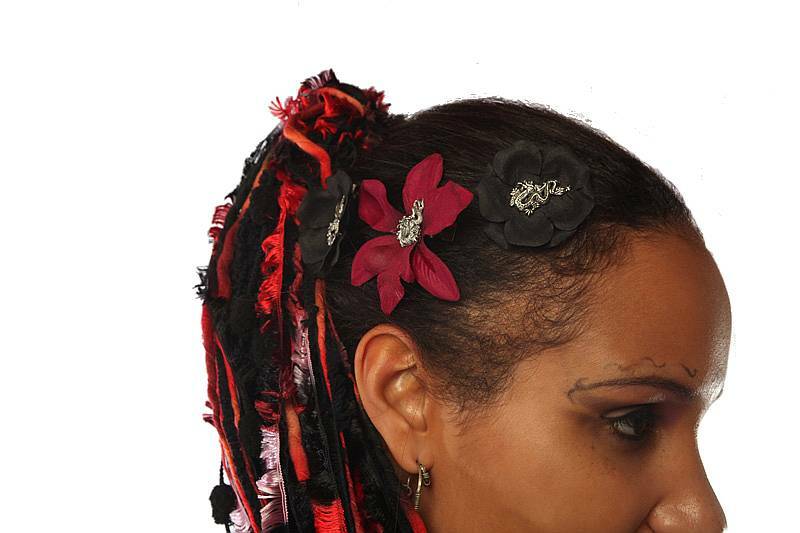 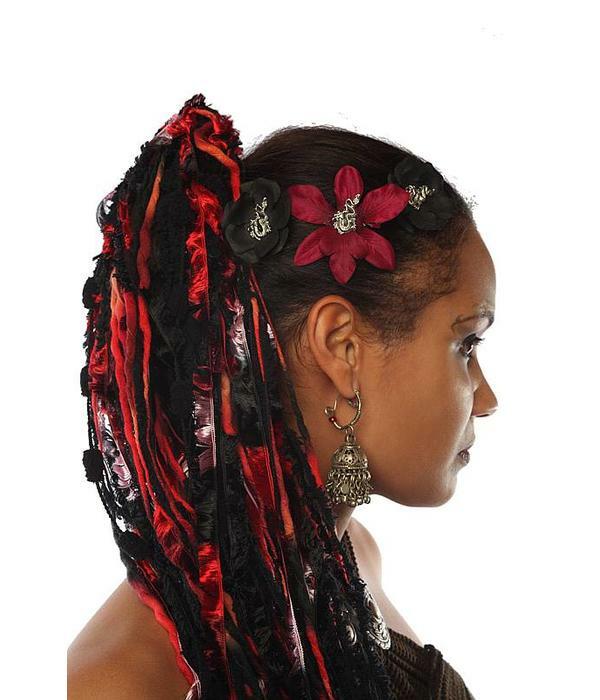 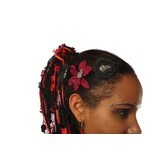 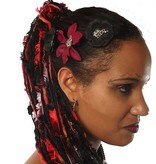 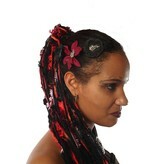 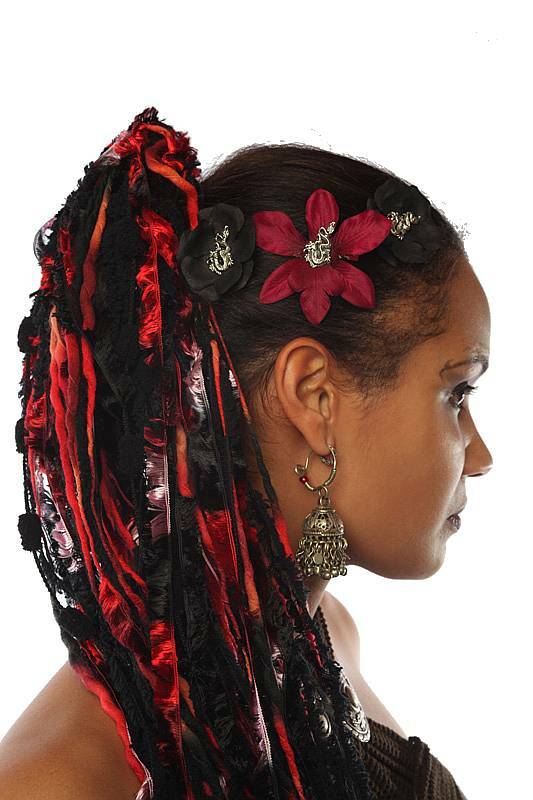 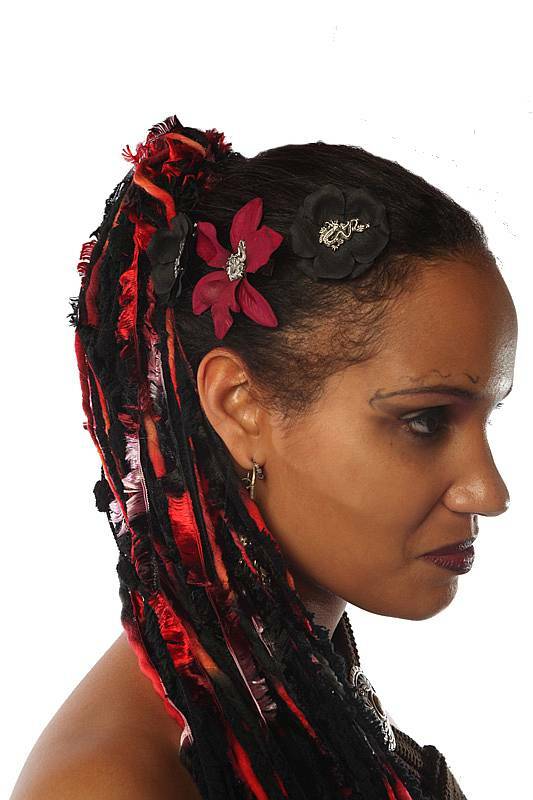 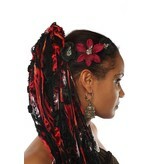 This hair jewelry set is perfect for gothic looks and tribal fusion belly dance!